Laughter and Humor are the key to healing. Take a couple minutes and watch this Grandma Comedy…it’s great! Click on the above link, then at the bottom of Aphasia, brain injury, prison, Marcus Rosenberger is a u-tube link to see Grandma Comedy. Weekly Photo Challenge: Down. 4/14/11, my son had just heard his verdict: Guilty. Marcus is an intelligent young man, who fell victim to the Federal Court system rather than receive ongoing rehabilitation and protection from a SEVERE brain injury. His brain injury left him vulnerable to others, and he is serving time simply because of his honesty. Check out Marcus story and the legal system. Check out this comic! And you thought that concussion didn’t cause you any problems! Think Again! 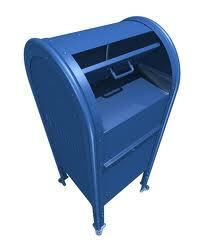 Snail Mail is Delivered Almost Every Day. The Best Ways to Manage Mail with Brain Injury, Memory Issues, and Chronic Illness. Excellent article on Mild Traumatic Brain Injury. This article from therapist Luann Jacobs is the most concise and comprehensive description of Mild Traumatic Brain Injury that I have read, as a MTBI survivor. MTBI can be caused by strokes, wounds to the brain, tumors, diseases, concussions (whether from explosions, contact sports such as hockey and football, auto accidents, or falls), and anything which compromises the circulatory or neurological functions of the brain. At the onset of my brain injury due to a stroke, now 14 years ago, I had to learn to walk again, read again, use the telephone again, and do almost all the daily and other tasks of life too. Was it the Initial Traumatic Brain Injury? Or Was it the Untreated Subarachnoid Hemorrhage After TBI that Caused 2 Decades of Problems?